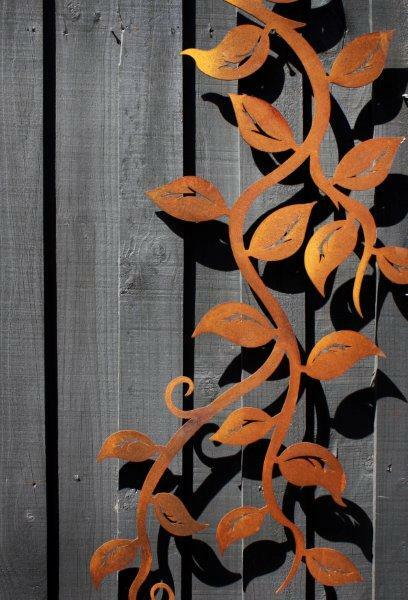 Garden Art | Corten steel. Pierre Le Roux | Garden accessories. 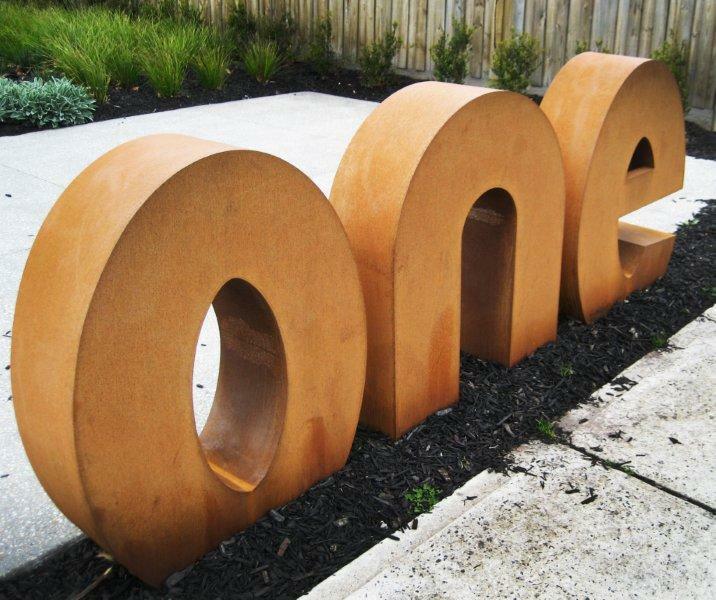 Garden art with corten steel. Pierre Le Roux Designs are adding design to outdoor accessories. 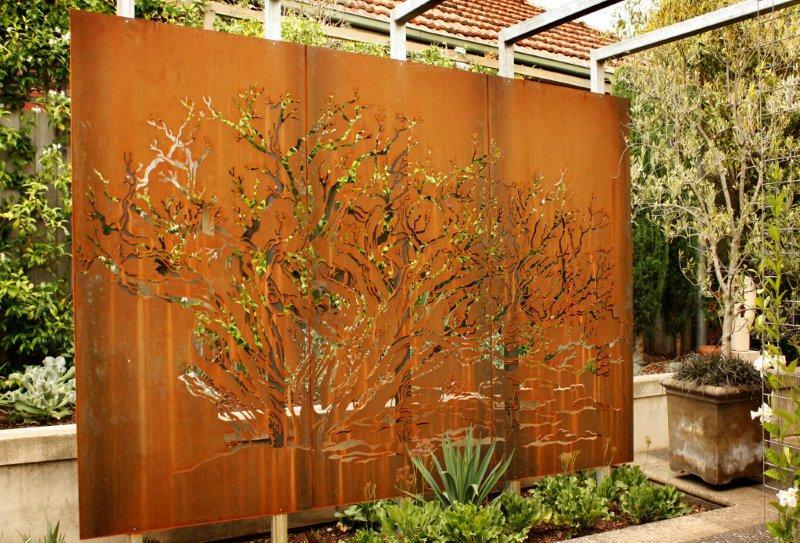 Using metal in the landscape for garden walls, screens or house numbers is a great way to add some garden art and sculptural function to the essential but usually dull components of the garden. 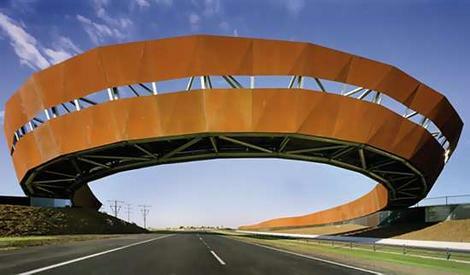 And corten steel is a great material for adding another dimension to the appearance of metal. It is designed to rust and it is the rust that makes it popular. The rich colour of the rust can look spectacular and its appearance changes with the various lighting levels during the day. 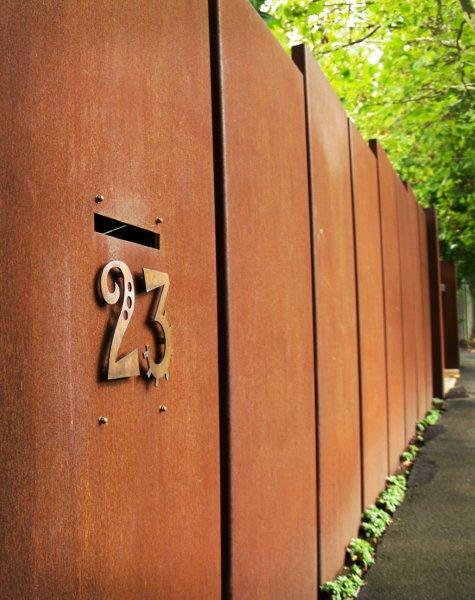 Corten was developed in America and is also referred to as weathering steel. In Melbourne, Australia rusted steel first became popular as an architectural material in the 1960s but fell out of favour as the run-off stained surrounding concrete pavements. But all was forgiven by the 2000’s and the material became fashionable again. Landscape designs were either modified to cater for the run-off staining or just ignored. Landmark buildings and infrastructure projects such as the Craigieburn Bypass Hume Freeway (shown above) has probably contributed to this material becoming popular in domestic gardens in Melbourne. Below are some shots of work produced by a Melbourne metal artists Pierre Le Roux Design http://www.plrdesign.com.au/. They are definitely adding art to the garden accessories department, adding interest to suburbia’s streetscapes and producing some unique metal wall art . Pick up some Garden Art at Auction. Frances Doherty. Two artichokes on a rod. NEW PRODUCT Vertical Greenwall Blanket in Australia by Jamie Durie.